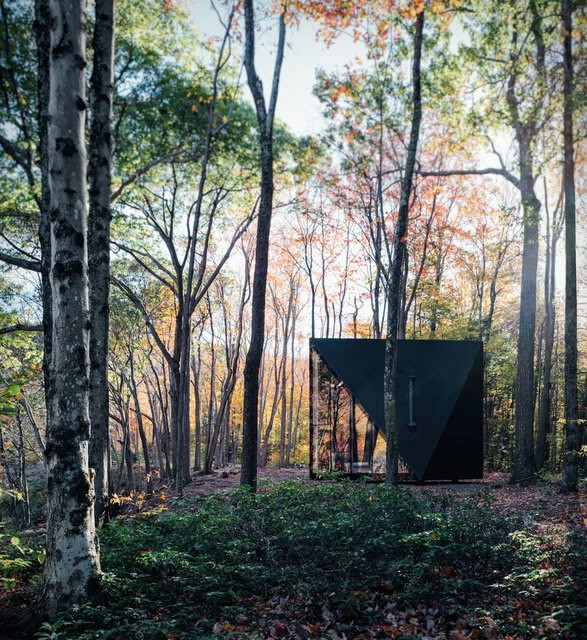 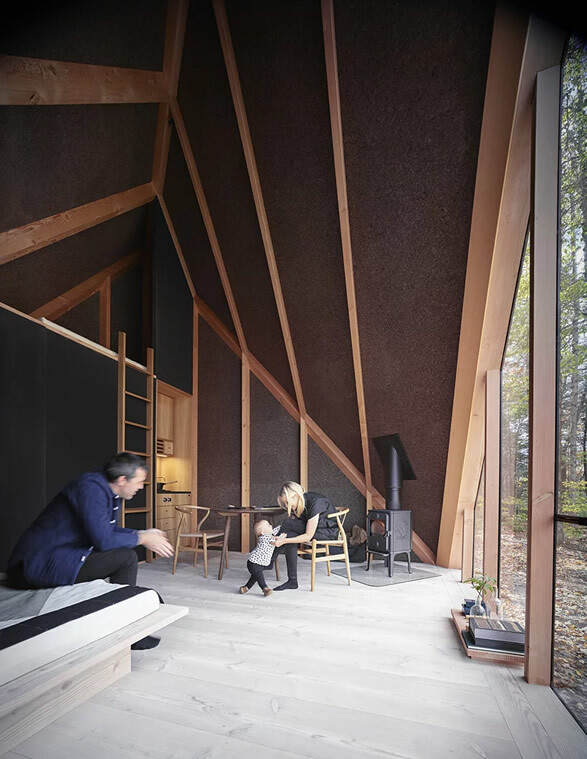 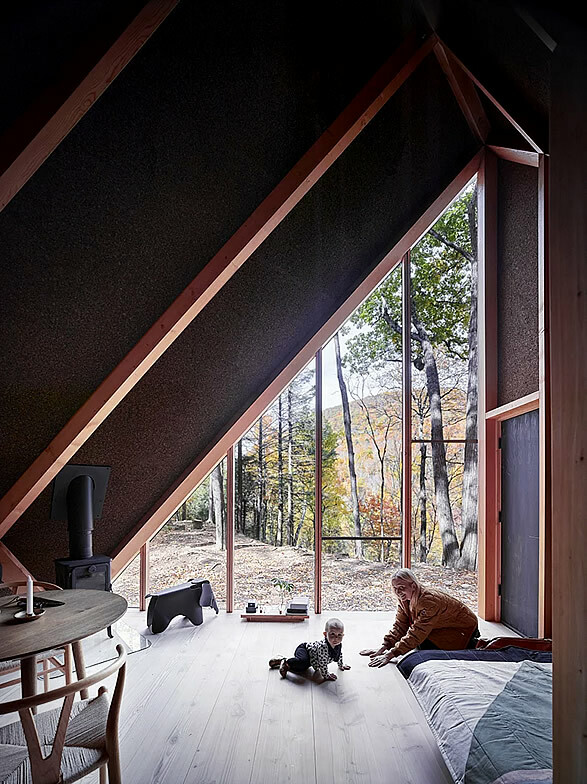 Danish firm Bjarke Ingels Group (BIG) has created a very appealing prefabricated tiny house inspired by classic A-frame cabins but with a modern twist. 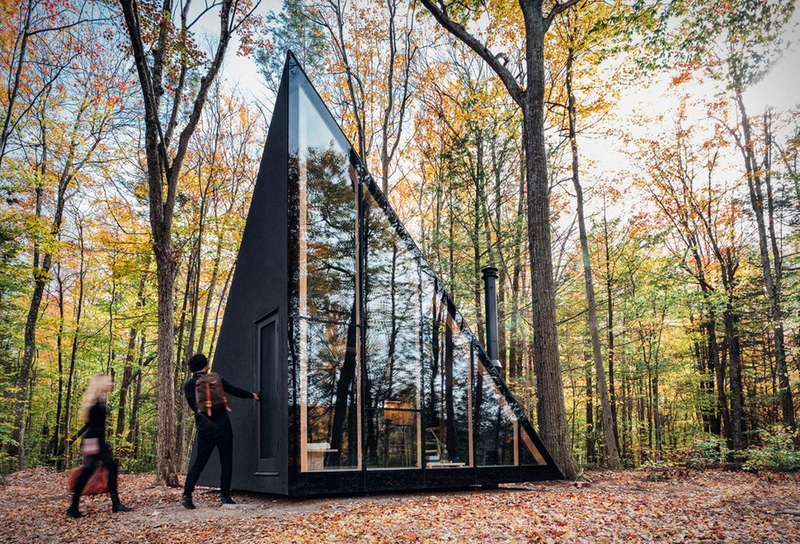 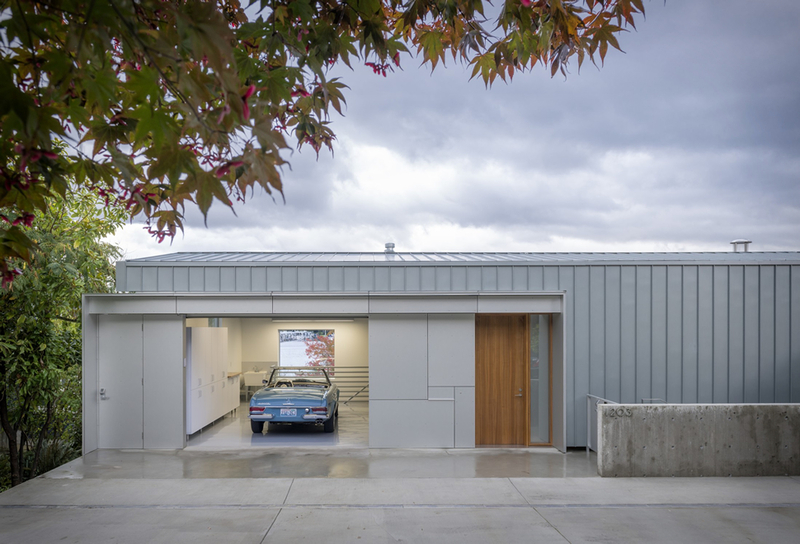 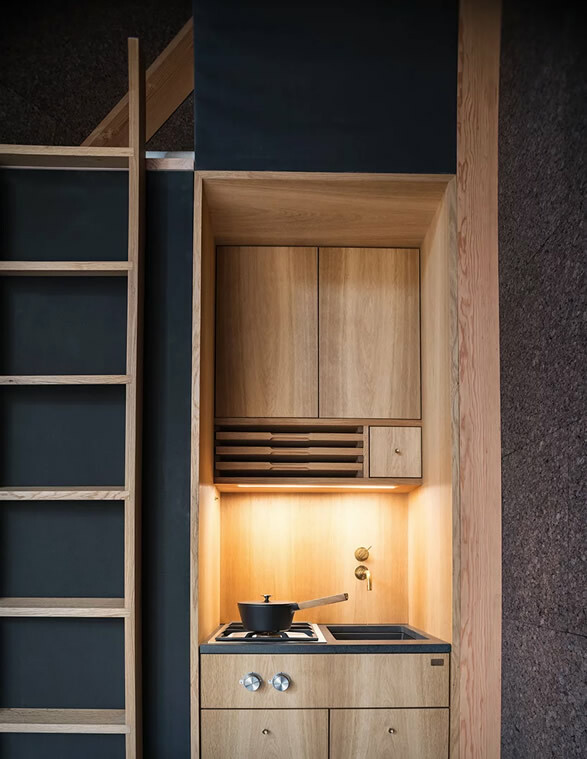 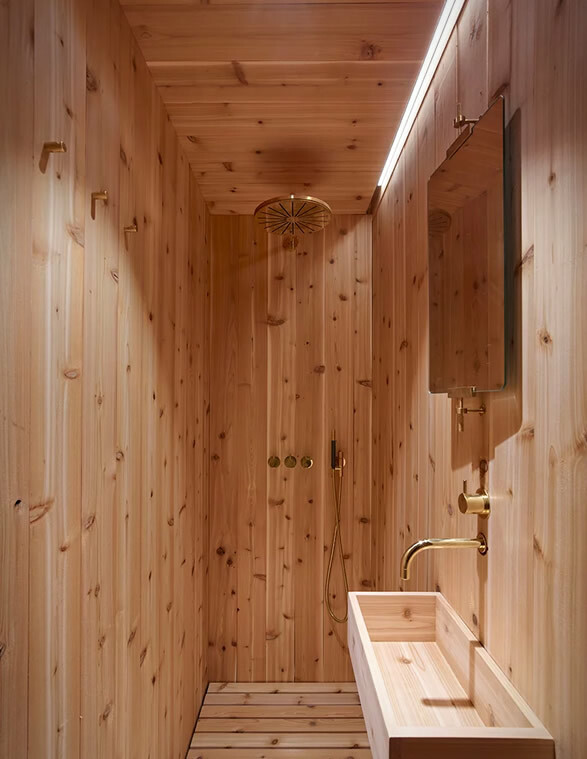 The A45 House has only 180 square feet but offers a maximum ceiling height of 13 ft, it is customizable inside and out, and includes a wood-burning fireplace, a kitchenette, a dining area, a cedar sauna-styled bathroom, a downstairs bed and another loft bedroom reached by ladder. 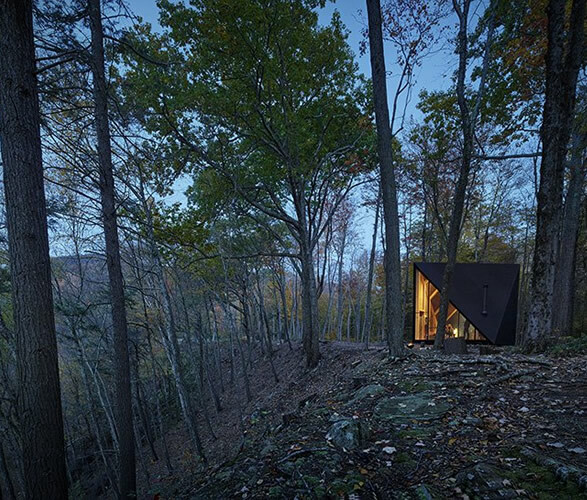 The tiny dwelling is assembled in modules on site, operates off-grid, and is made entirely from recyclable materials. 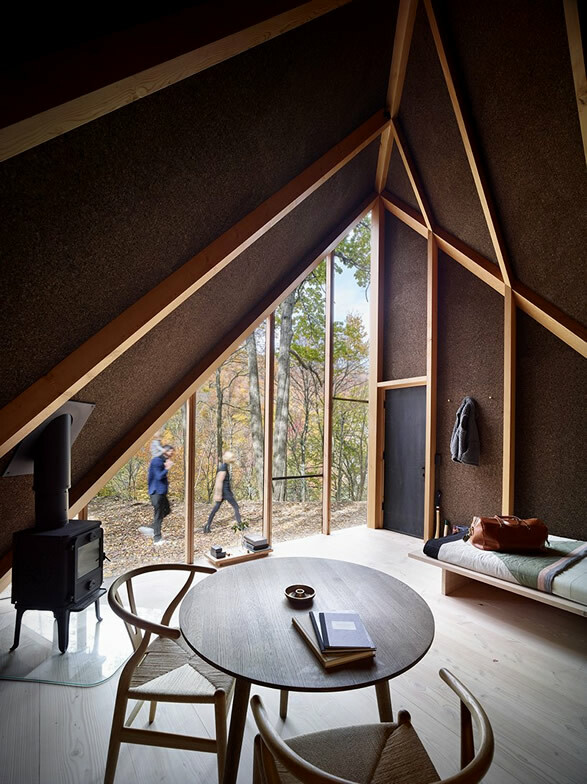 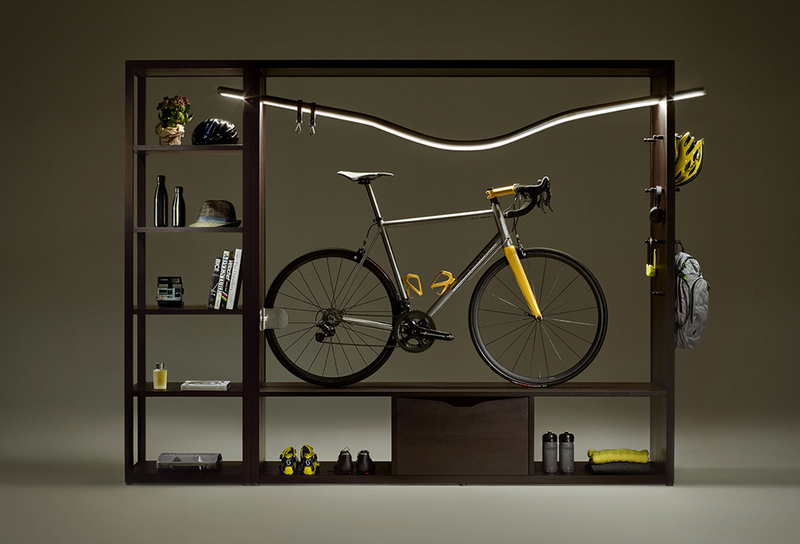 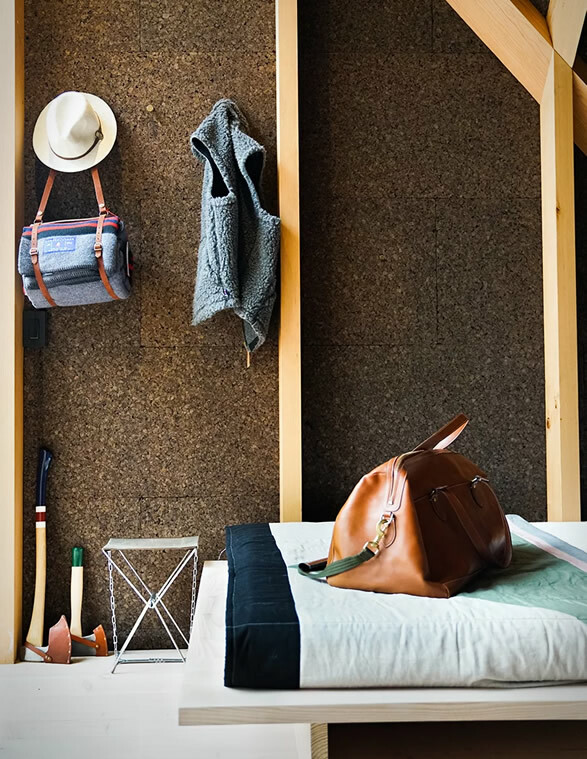 The tiny cabins are to be built by leading manufacturers, customized to the homeowner´s likings, and can be delivered anywhere in the world within a six month lead time.